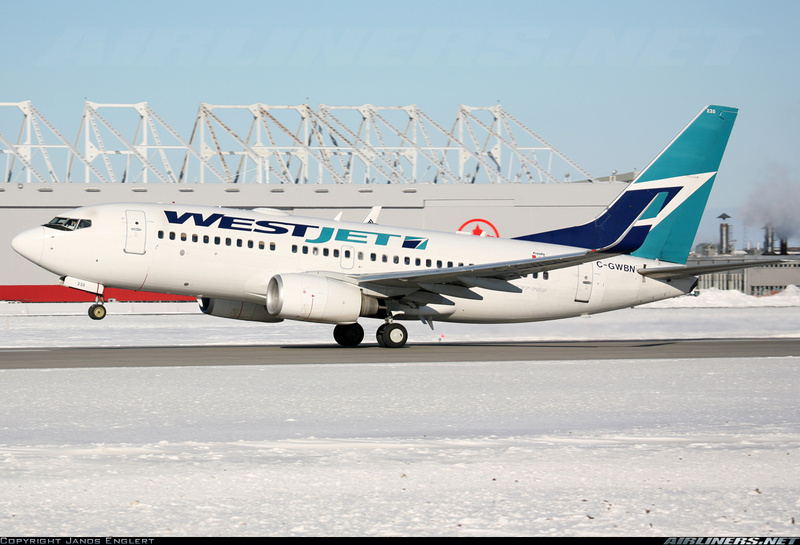 Calgary based WestJet Airlines has reported another good year for 2012. Revenue topped $CDN 3.42 billion resulting in Net Earnings of $CDN 242 million (7.1% net margin), and 2013 is shaping up to be a big year for the airline. The airline has 100 B737NG aircraft (16 x B737-600’s, 69 x B737-700’s and 18 x B737-800’s) with more B737’s to come soon to be joined by the first of 20 Bombardier Q400 regional turboprops with 78 seats that will open up new destinations in Canada that till now were uneconomical with the B737NG fleet. Seems Canada can never support more than 2 airlines, years of competition with Air Canada by CP Air then Canadian Airlines and now WestJet Airlines, and consumers do not have much choice. With average yield at WestJet at $CDN 0.1877/RPM (revenue passenger mile) and $CDN 0.1900 the yield is the same +/-, while both had an excellent 82.7% load factor. The difference is costs, where WestJet is at a $CDN 0.1383/ASM well below Air Canada. Comparing WestJet Airlines to Southwest Airlines (LUV) the largest of the so called “low cost airlines”, WestJet had yields 24.3% higher than LUV and CASM (cost per ASM) 11.4% higher. Seems that WestJet is not that low cost and not really a low fare airline either compared to US based low cost carriers. With RASM at $CDN 0.1553 (Load factor x Yield) the airline manages its load factor and yield well, but costs are worrying for the medium term. WestJet’s capacity is split between Domestic (57%) and Transborder (43%) while Air Canada’s is split three ways, Domestic (39%), Transborder (20%) and International (41%). It is a bold move on the part of WestJet to challenge Air Canada for more markets in Canada, many of Air Canada destinations are served by Chorus/Jazz Airlines that operates 129 jet and turboprop aircraft under 76 seats for Air Canada under a CPA (Capacity Purchase Agreement) which has the airline carrying 9.2 million passengers a year on over 800 daily flights to 82 destinations. This Encore is a fundamental change from its low cost (LCC) model of using one type of aircraft to keep costs down, and shows that the airline is moving towards a more hybrid model of service and low fares, as many airlines are doing around the world. In WestJet’s case they target a ROIC (Return of Investment Capital) of 12% which they achieved in 2007 and 2008 and they did 12.3% in 2012. By 2016 WestJet claims it will be one of the 5 most successful international airlines in the world, now that is a very tall order given the competition out there. After 16 years in business, WestJet needs to keep momentum moving and it needed to make a strategic decision on its direction on how to keep growing and be able to challenge Air Canada, yet keep its cost advantage alive that has eroded from 30% to only 15% on CASM (cost per available seat mile basis) as employees are reaching top pay scales pushing up labour costs coupled to rising maintenance costs as aircraft get older and need upgrading to keep up with latest improvements in In-flight entertainment, etc. No coincidence that last summer Air Canada launched a new low cost leisure airline to be named Rouge to challenge WestJet in the Caribbean and Air Transat in Europe, with an initial fleet of only two B767-300’s and two Airbus A319 to be leased from Air Canada and staffed by lower paid pilots and flight attendants. WestJet quickly announced it will challenge Air Canada in the regional market and set up WestJet Encore to operate the Q400 turboprops (20 on order plus 25 options). This will break Air Canada’s monopoly on many secondary routes and will bring fare reduction to those destinations that have not had any other choice but Air Canada. The Q400 will be used to 1) open new destinations, and 2) enhance/compliment existing B737NG routes with more frequent flights or seasonal routes can now be viable year round. The battle lines are set for 2013, WestJet will go after the regional market that Air Canada dominates and Air Canada is taking on WestJet, Sunwing and Air Transat in the leisure market, and while good news for consumers, bad news for many airlines caught in the crossfire and I will explain that in more detail later on in this article. The choice of the Q400 must have been a compromise, the aircraft is fast at 360 kts, and more economical than a regional jet below 400 nm (740 km), but is less competitive than the DHC-8-100/300 (37 and 50 seat) turboprop on short routes less than 200 nm (370 km). The Q400 will face turboprop competition as well as Jazz Airlines CRJ-200/705 (50 and 75 seat) regional jets. WestJet President/CEO Gregg Saretsky came to the airline after 8 years with Alaska Airlines, which owns Seattle based Horizon Air, a regional airline that has dumped all jets and went to an exclusive Q400 fleet a few years back, but Canada is a big country with long distances between some secondary cities. WestJet Airlines is launching two new B737NG routes in 2013, having picked Myrtle Beach and Dallas plus 3 new daily services between Toronto and Ft. McMurray to break Air Canada’s monopoly on that route. At the same time WestJet is the first Canadian airline to introduce limited premium economy seating with 36 inch pitch into its B737NG fleet, standard pitch is 29 inches, but off course Air Canada is now going to do the same this year. Last week, WestJet Encore announced its first two new regional destinations that will be served by the 1st two Q400’s due this June. WestJet’s new destination is Fort St. John in B.C. that will be served daily by a daily Victoria-Vancouver-Fort. St. John service that will be up against Air Canada’s CRJ-200 with a Westjet fare of $CDN 363 versus Air Canada’s current $CDN 732 ! competition is heating up out west this summer. WestJet also added Nanaimo, B.C. to its network, with a daily Q400 direct Nanaimo-Calgary service, that will allow passengers to totally by pass Vancouver International, a very promising route indeed. The other Q400 routes will be to complement existing B737NG’s services during low demand periods, the Calgary-Edmonton route will have 9 daily departures, of which 4 will be with the Q400 and Calgary to Fort St. John will get a daily Q400 was well while Grand Praire will get year round service now to Calgary with Q400. The new Q400 will bring lower fares to many communities, which in turn will drive more traffic, through lower fares, as price elasticity of demand for short haul is around -1.5 in North America, which means a drop in price of 10% and demand will/should increase 15%, WestJet saw traffic go from 5,000 a year in Comox B.C. to 121,000 a year in a matter of a few years. The next logical step for WestJet will be moving into widebody aircraft for trans-Atlantic and trans-Pacific routes, and it is known that WestJet has been talking to Boeing and Airbus about their B787 and A350, but those airplane now have long lead times, so talks have occurred with several leasing companies who have availabilities in the 2017+ time frame. With 30 interline agreements and code share partners the airline most likely will become a B787 or A350 operator in the next 4 years. The other direction WestJet may take is through a merger or acquisition and this was highlighted by a recent job ad for VP Treasury at WestJet which had a requirement for M&A experience, which may indicate that some interest is there to move in that direction. In Canada it could be leisure airline Air Transat as WestJet is big in the leisure market, maybe B737-800 operator SunWing Airlines and CanJet, and possibly Q400 operator Porter Airlines to accelerate WestJet Encore’s entry into Eastern Canada, and an airline that is under pressure from WestJet in its New York and Myrtle Beach market. 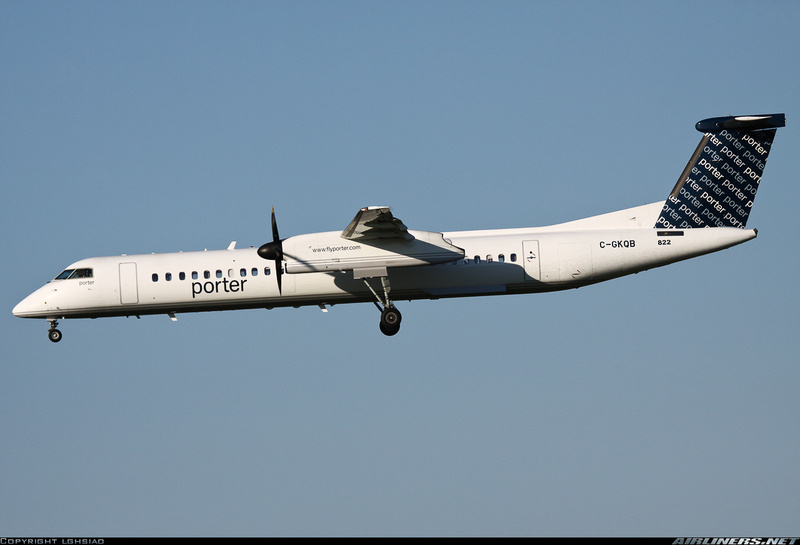 Porter is now operating 26 Q400’s with 4 more to come but operations from its secure hub at Billy Bishop Toronto City Airport is limited, space is at a premium. Mr. Robert Deluce has done a wonderful job with the airline, and 2011 it had a profit with a 62% load factor. The Q400’s only have 70 seats instead of the 78 found in many Q400’s because the 08/26 runway is only 3,988 feet long and some restrictions are placed on the aircraft when the runways is wet or snow covered. Its a good operation but it does not have a sustainable business model for the long term, unless it goes head to head with WestJet and Air Canada, and that would not be advisable. An IPO was cancelled in 2009 and at some point investors will push for better results. Future Encore expansion could see services to destinations that local regional airlines serve, and their business will be hit hard. WestJet’s entry into the Whitehorse, Yukon market, hurt local Air North under President/CEO Joseph Sparling, and serves the thinly populated province with 1 x B737-400, 1 x B737-500, 3 x B737-200 and 4 x HS748’s. 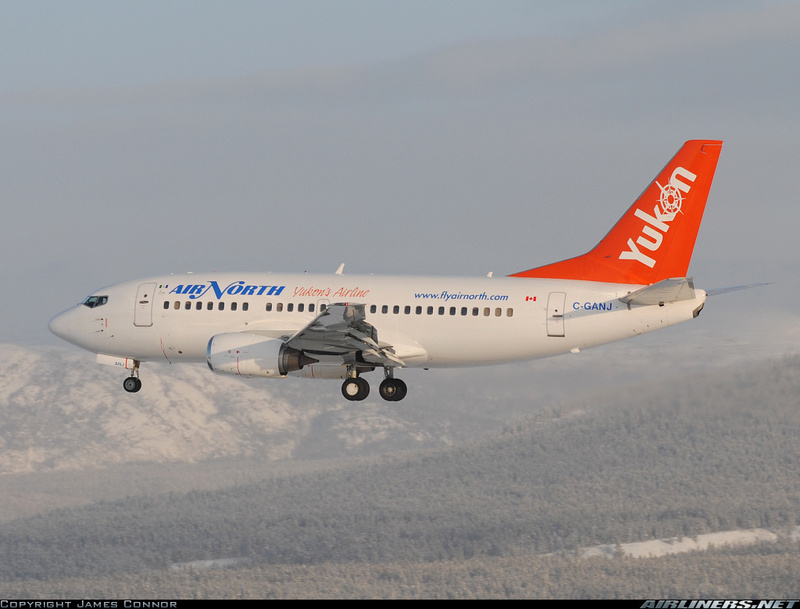 The airline is a big local employer and competing with the likes of WestJet and Air Canada has hurt the airline, the mainline carriers do not realize how important how an airline like Air North is important to the people of Yukon, from employment to essential services to remote communities to driving local economic development. 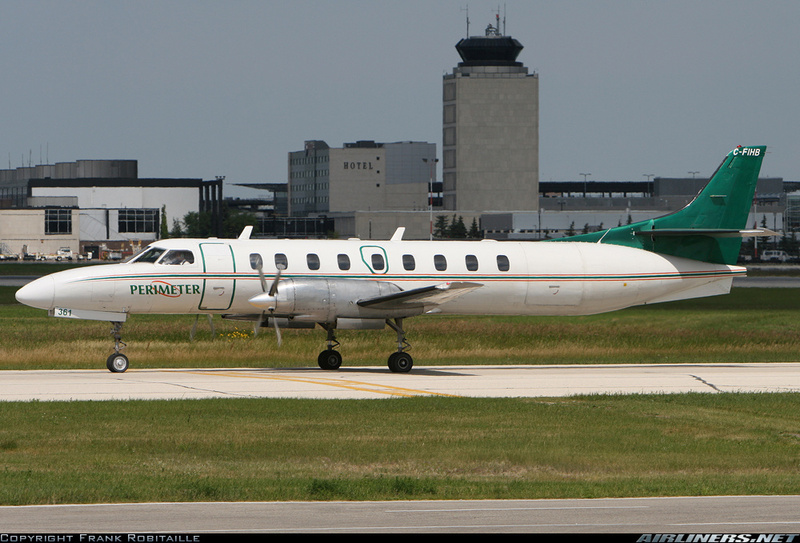 Encore service in the future to places like Brandon, Manitoba would hurt local Perimeter Airlines, service to Thompson, Manitoba will hurt Calm Air as its prime route is to Winnipeg, and Encore would steal some of that traffic to Regina or Calgary. Hawkair of Terrace, B.C. could be hurt if Encore flies to Prince Rupert from Calgary, which will hurt the Vancouver run, so lots at stake these days for independent regional airlines. 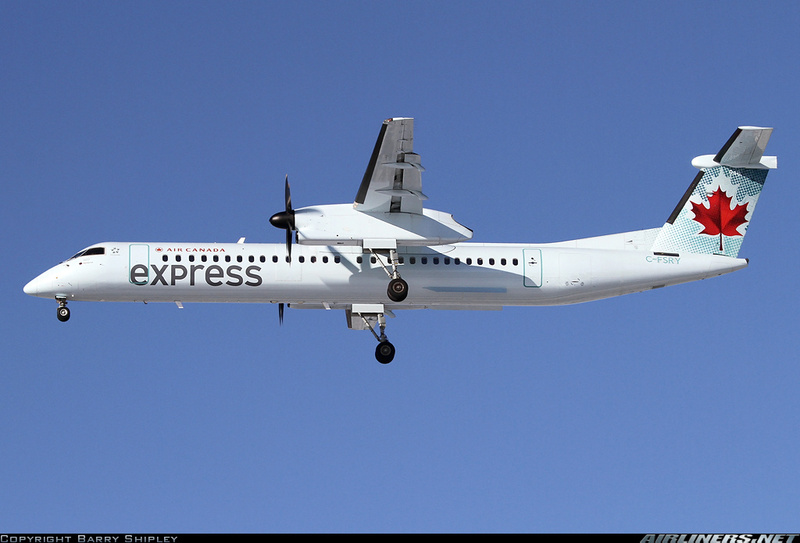 The upside is that Encore will open up markets to more competition, in the case of Manitoba, there are 3 regional airlines serving that province, Perimeter Airlines (Metro III, DHC-8), Calm Air (ATR-42, SF340B+) and Bearskin Airlines (Metro 25) and all owned by EIC (Exchange Income Fund) (see previous article about EIC). Surprisingly no one has raised any issue with a monopoly of one owner serving Manitoba and NW Ontario, but serious competition is surely lacking and high airfares to local destinations bares that out. Encore will benefit local consumers and local airlines will feel some pain. Now on to Air Canada, its new leisure airline Rouge is not its first attempt to have a low cost airline, it had Tango (Tan and Go) between 2001-2003 with A320’s and B737-200’s flying to Ft. Lauderdale, Tampa, Mexico City etc. and at the same time it had ZIP with B737-200’s flying out west between 2002-2004 trying to compete with WestJet and run by former WestJet CEO Stephen Smith. To be successful it takes more than operating aircraft with lower paid flight crews and a few more seats, most airline costs are not controllable, you cannot do much with fuel, maintenance, airport fees, insurance, NAV/ATC fees, in fact only about 25% of costs are “controllable” by an airline. While Rouge is a good step, it will not be very successful unless you separate it from Air Canada and bring in people who do not have the Air Canada mentality. Yes, Air Canada needs to change, unions are too stubborn and Air Canada survives but for how long ? what will happen when Emirates, Etihad, Qatar Airways start flying into Toronto and competition heats up from the west and east ? Air Canada showed a Net Income of $CDN 53 million for 2012 and it is “transforming” its costs down while revenues are improving especially in the Asia Pacific market where unit revenues increased by 13.5% on 11.8% improvement in yield. A new route to Seoul is being opened up in 2013 as the airline is to receive 5 x B777-300ER’s, which will free up the 2 x B767-300’s for Rouge’s services to Athens, Edinburg and Venice. The two Airbus A319’s have 142 seats, of which 118 are 29” pitch economy seats and 24 seats are Rouge Plus 35” pitch seats. The A310 will compete with WestJet on 7 of its 10 routes to the Caribbean. WestJet does not fly International routes, so Rouge’s services to Europe will compete with Air Transat directly on 2 routes (Venice and Edinburg/Glasgow). Air Transat is already struggling, having lost $CDN 16.7 million in 2012 on top of $CDN 14.7 million in 2011, and it cannot afford a price war, and I suspect we shall see it cut capacity to Europe this summer, though Rouge will not be operational till July, so this year may still be ok for Air Transat to better position itself or it may go the way of many previous leisure airlines in Canada (ie. Skyservice, Zoom, Canada 3000, Odyssey International, Worldways, Nationair, Wardair, Vistajet, etc.). Cannot talk about Air Canada without talking about Jazz Airlines/Chorus, the regional arm that flies 129 aircraft to 82 destinations. The airline is big, revenues in 2012 was $CDN 1.71 billion and an net income of $CDN 101 (5.9 net margin). 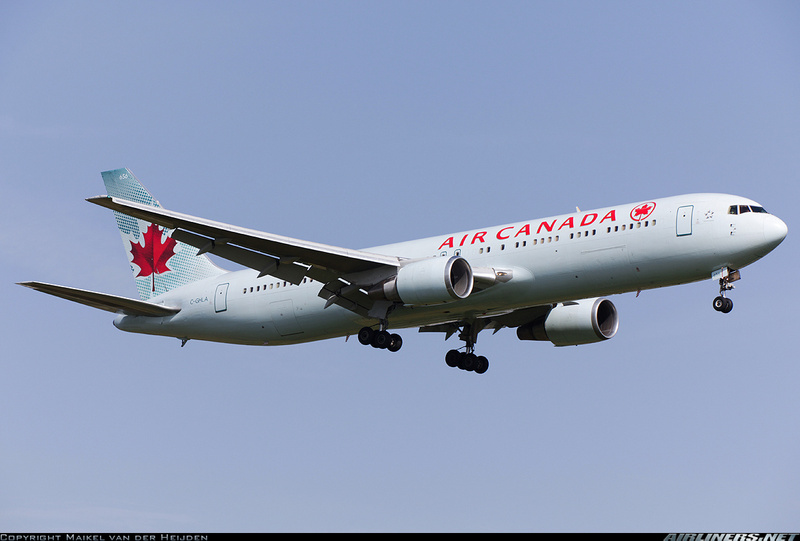 Under the CPA (Capacity Purchase Agreement) Air Canada picks routes, schedule, aircraft type and pays pre-determined rates for what is basically an ACMI (aircraft, crew, maintenance and insurance) operation. The airline has been trying to diversify away from being 100% reliant on Air Canada, but it has not done a good job. It operated 6 x B757 for Thomas Cook on a 5 year ACMI deal, that was cancelled 3 years early and it went to WestJet. The airline took a high 25% equity stake in Uruguay’s national airline Pluna for $US 15 million in 2010, but Pluna filed for bankruptcy in July, 2012. Sky Regional a new airline formed by Skyservice won the right to fly as Air Canada Express in 2011 with 5 Q400’s between Montreal and Billy Bishop Toronto City Airport, a blow to Jazz for sure, as a new competitor was on the block. In 2012, Sky Regional was given the right to operate 15 Embraer 175s (73 seat) on behalf of Air Canada to the USA, another blow to Jazz. The latest blow to Jazz/Chorus is they lost the arbitration with Air Canada in regard to mark-up charges on controllable costs incurred for Air Canada, the cost owing is $CDN 26 million, and as if that was not enough, February 13th, 2013 Fairfax Financial Holdings sold its 19.1 million shares of Chorus (CHRb.TO), both Class A and B shares, causing the share price to drop 19% that day. Obviously Fairfax bailed out, the arbitration and the coming WestJet/Air Canada battle is scaring investors, price wars cost money. Air Canada also uses two Tier III operators, Central Mountain Air of Smithers, B.C. with 14 Beech 1900D fling in B.C. and Alberta and then there is Air Georgian of Mississauga, Ontario with 15 Beech 1900D’s flying in Eastern Canada and a few flights out of Calgary, Alberta. Chorus received $CDN 1.646 billion from Air Canada in 2012 under the CPA with Air Canada which paid out $CDN 1.744 billion to Air Canada Express partners (Jazz, Sky Regional, Central Mountain Air and Air Georgian), so roughly $CDN 98 million went to Sky Regional, CMA and Air Georgian, only 5.6% the rest to Jazz. Jazz has CASM of $CDN 0.2479 much higher than Air Canada or WestJet as smaller aircraft have higher CASM, and something that WestJet’s Encore will have as well, as the Q400 will have CASM around $CDN 0.2000 roughly much higher than the $CDN 0.1383/ASM of WestJet today, so per mile the Q400 will be about 44% more expensive than the B737NG. This means for a target breakeven load factor of 50% WestJet Encore will have to have a yield of $CDN 0.4000/RPM, which on a 400 mile run equates to $CDN 160 one way. Now with current yield averaging $CDN 0.1877 at WestJet, the Q400 operation will have to charge double the yield, and average yield will go up at WestJet. In short, Q400 customers will be paying a lot of money for the privilege of having the Q400 service.